Have you ever traveled before? Do you know how exciting it is to dive into new countries and cultures? Have you ever dreamt to travel around the world? Do you know that you can work and travel simultaneously? Some people can’t imagine their life without voyage, but they don’t make their dream come true because of a lack of money. It’s hard to balance constant travel and office work. However, you can do it because there are many people who successfully combine both. It’s possible to make enough money while traveling the world. Let’s watch the main ways. 1. Traveling Can Be Really Budget-Friendly. Rumors are in the air that traveling is a very expensive pleasure. Many people abandon an idea to visit other countries because they’re afraid of costly overflies and accommodation, unpurchaseable food and daily living needs. Even have not tried, they live in accordance with the common society opinion — to have a tour will cost you a hand and a leg. A travel enthusiast visited all the countries throughout the world, top-rated New York Times author, Chris Guillebeau points out that people should live their own life but not the others expect from them. If you desire to visit as many countries and cities as possible, make an effort. You will wonder how it could be affordable and enjoyable. Sometimes, people with an average income in their native country can live as a millionaire abroad. Additionally, it’s possible to incredibly save your budget settling on in the cities located far from the capital with higher live standards. 2. Set Up The Right Priorities. Have you ever read Matt Kepnes’ book “How to Travel on $50 a Day“? The author explained how he could save money by saying “NO” to a series of entertainments, activities and wasteful spending. It doesn’t mean to deny yourself every luxury. You can have fun but lead a less extravagant living, stop extra spending. Look for ways to save as much as you can: give up on eating at restaurants, cut down on constant hanging with your friends, etc. Remember, every dollar saved is a dollar earned when you’re on the road. Ask yourself: what is more preferable for you? What can you give up in favor of travel? You can rent a small, affordable room instead of a luxury apartment at the hotel. You can learn to cook for yourself instead of visiting restaurants every day. You can sell your car, and purchase a used bicycle. There’re loads of ways to save money and make your travel dream come true. Just try! 3. Make Money While Traveling. Below is the list of real opportunities to earn your bread. These jobs are not fantastic, they have already helped thousands of travelers to have a lifestyle of their dreams. If you no longer want a week vacation and strive for a full-time traveling, getting a remote job is a must-have. Thankfully, you have multiple ways to accomplish this goal. ‘Expats’ are those being citizens of one country work in a foreign one. They may live there for some period and finance themselves by nursing, teaching the language, keeping the house, and many more. And they can make money online by teaching online. Digital nomads are mostly freelancers: remote copywriters, bloggers, entrepreneurs, SMM, web designers, and programmers. They can work from any place. They just need a good internet connection and powerful device. Here is a guide for becoming a digital nomad. Vagabonds are those who settle on non-office jobs. For example, they can work in hostels for free accommodation or piece wage. 1. Freelance writing. This is one of the most popular remote jobs among travelers. When you’re freelancing you may have several customers who pay you hourly or for a project. You can write articles on travel-related topics with first-hand images or compose copywriting material for different online platforms. There are numerous digital services offering loads of writing works up to your preferences. Consider that this job can be boring and daunting. 2. Content creator. Alongside bloggers and writes, you can create and sell digital content like images, video, infographics, online courses, eBooks, software, etc. With your own traffic-oriented website or blog, content-creation can serve as a passive yet effective income. This way takes a long time to become flourishing. 3. Resort jobs. Resorts can hire international staff for different positions such as pool man, front desk, food service, massage therapist, housekeeping, and others. 4. Run your own travel tours. There’re a number of bloggers who earn money by organizing different tours around the world. You can make a focus on different topics: food, budget tour, architecture, ecotourism. 5. Working holiday visa. If you’re ready to stay in a country for a year or two and you’re in the age range 18 – 30, some countries like Canada, Australia, New Zealand, France, offer a specific job for foreigners. With this visa, you can stay in a country and apply for any position up to your preferences. It’s a great chance to work and be on the wing without fear to lose your shirt. 6. Fruit harvesting. This seasonal activity is quite common for travel enthusiasts and backpackers. The payment method differs from country to country. For instance, in Australia for fruit-picking, you will achieve payment per kg in addition to lodging and food. 7. Online selling. If you have an idea about some interesting product (handmade goods, gifts) to sail, you can run your own e-store or use the selling opportunity on eBay or other e-commerce platforms to start selling. Though it is more likely a passive income, it can help you keep on the road for a while. 8. Bartenders and cafe/restaurant jobs are always in demand in many resort cities. Travelers are paid ‘cash in hand.’ Moreover, bars can include hostels. It’s a great chance to achieve a cheap or even free room or bed. 9. Web developer or designer. Today these professions are very popular and well-paid. They allow working remotely and require from you specific skills, a working device, and fast internet access. 10. Dance or teach others. If you’re a talented dancer, you can find where to dance and get money for that. There are many clubs, bars, and other entertainment places that need such workers. The same relates to yoga, music, and different form of exercise. As you see, there are tons of opportunities to earn your daily bread overseas. Just try some of them and your full-time travel dream will come true as soon as possible. Excellent post as usual. Travelling is such a great thing to do. One gets to visit different locations, meet different people, know their culture, their food habits. I just love travelling. Travelling surely is a stress buster. And if you can earn some money along with that. What more can one ask for. You have given the list which is best suited.. I do blog and I mostly travel across the globe.. Many people want to travel the world, but are afraid of the expenses it may incur. You are true in saying that, one must set up the priorities first. If you know what is more important, you will be able to enjoy your tour at a minimal cost. Earning while travelling is a dream for many people. And you have given some nice ideas to do so. I haven’t heard about fruit harvesting earlier, but it seems to be very interesting. Thank you for sharing, Robin. Have a great rest of the week! I am good and Hope that you are good too. And thanks for sharing your thoughts on my post. This blog made my day….. Thanks you so much for this post. I really liked the point of making money while on the go. write would be this job because they would get more topics to explain his own thoughts to the rest of the world and they’ll get paid as well. I like the idea about securing a working holiday visa. This is the best way to fulfill one’s desire of traveling and working abroad. The money earned by working abroad can be utilized for traveling. 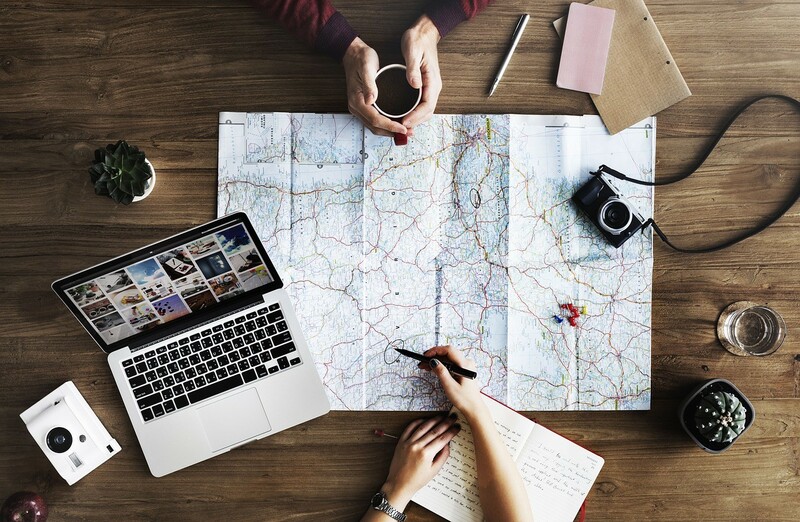 Also, if one has good writing skill, he or she can narrate travel experiences through blogs and thereby earn some revenue through ads on the blog post page.